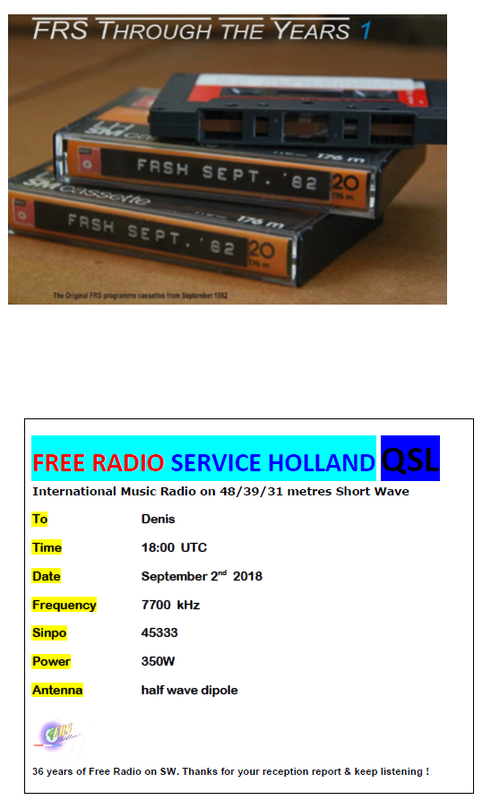 Report sent to [email protected], eQSL in 21 days. The Free Radio Service Holland will be broadcasting its traditional Holiday Season broadcast on Boxing Day, Monday December 26th 2016 from 08:30- 14:30 UTC and a full repeat from 16:30- 22:30 UTC. Frequencies are 7700 & 9300 kHz. We welcome your December seasonal greetings. 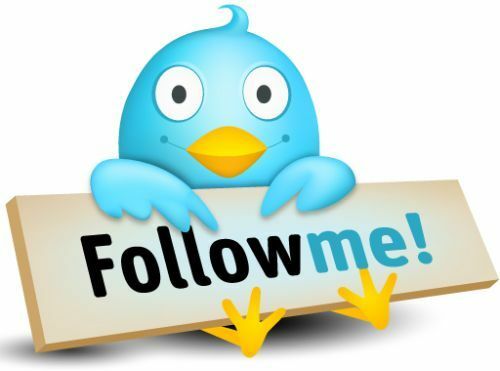 For more info please go to FRS-Holland Seasonal broadcast Invitation. For the full schedule as well as the streaming info, please read the schedules below! 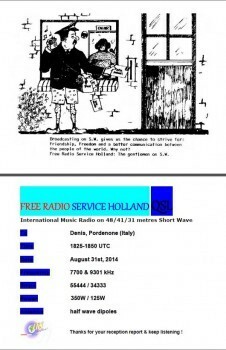 eQSL from Free radio service Holland transmission of the 21/08/2016 on 9300 kHz. 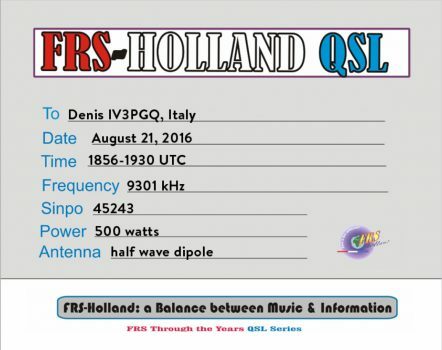 Report sent to [email protected], eQSL in 58 days.